One of my favorite FGR efforts came about by accident a few years ago when I found myself staring blankly at my keyboard like I was waiting for the letters to rearrange themselves into some profound message from the great beyond that would explain what it's all about or at least spell-out the names of Terry Halbach's killers. * Somewhere from that abyss miraculously came 850 words of commentary on what was then the most jarring episode of Masterpiece Theatre's British melodrama Downton Abbey. 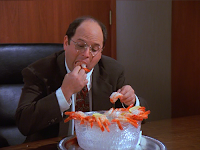 You can find that entry here but if you plan on binge-watching the show someday (which I highly recommend), then don't read it because it contains a Keyser Soze level spoiler alert. Fast forward to this evening when I found myself in a similarly stunted state of mind so I tracked down that Downton Abbey piece for inspiration and what do you know but it just happened to serve as the preface to the 2013 Waste Management Phoenix Open Preview. Apparently this tournament and I have a disconnect despite its prominent field and the manufactured entertainment value provided by the 16th hole stadium crowd (which I actually buy into 100% despite my generally grumpy old man point of view). And what else do you know but we just had probably the second most jarring episode in Downton Abbey history so let's go back to the well and see if we can manufacture our own little bit of entertainment right here. Are you excited? Yeah me too. Just beware that the next several paragraphs contain a major . . .
DOWNTON ABBEY SEASON 6 SPOILER ALERT!!! newspaper so we're going to have to let you go." About once an episode since that initial warning sign, we've gotten another reminder that disaster could strike at any moment. Couple that with this season's major plot line dealing with the prospect of the local hospital being subsumed into some national healthcare system and we the viewers couldn't help but think that there might be a connection. Then again, we've been watching a period piece about early 20th century British aristocrats for six years so we must be savvy and sophisticated. Anyway, the whole thing came to a head at the dinner table on Sunday night with a scene that was part Alien, part The Excorcist and part Mr. Creosote from Monty Python's The Meaning of Life. 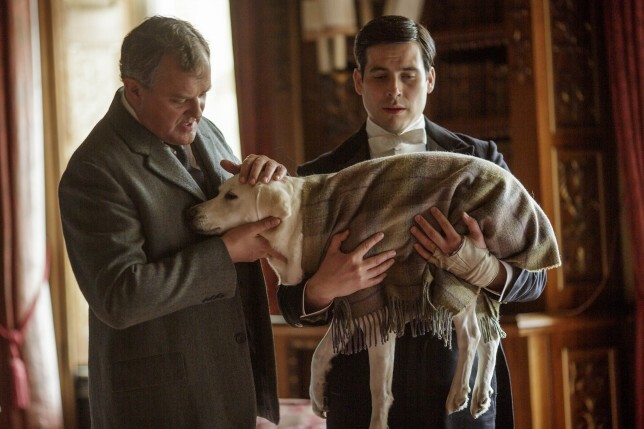 We are now left to wonder what Lord Grantham's fate will be though we've been down this road with this show before and suffice it to say, it don't look good. This ain't Game of Thrones where a guy can have every major organ shish kabobed nineteen times and lay bleeding in the snow while everyone shrugs their shoulders and says, "he'll be fine." This is Downton Abbey where death lurks around every corner unless of course you're one of the servants in which case you don't get to die because then who would serve the tea? The only question you really have to answer this week is whether you want to use Bubba Watson now, at the Masters or at the Travelers Championship in August. He's finished T2nd in Scottsdale the last two years so he's about as close to a sure thing as you're going to get which is why I'm picking Hideki Matsuyama. Going contrarian by avoiding Jimmy Walker at the Sony and Jason Day last week has been working so we're going to ride that dog til it drops (who rides a dog?). Besides, Matsuyama's record over the past two seasons is almost as good as Bubba's (T4th and T2nd) and there isn't an obvious place to use him later. At least that's what all of the research I didn't actually do tells me. Note that I was reeeaaaalllly tempted to go with Hunter Mahan this week because he's got bounce-back season written all over him and he loves the course but I didn't because I'm a wuss. If you have a pair of stones, give him some consideration. If you are a woman reading this, first of all thank you for looking past my 8th grade maturity level and second, please substitute whatever inanimate objects your gender uses to symbolize a physical trait that one might associate with courageous behavior and give Mahan a look. I'm going to stop talking now. Oh just one more thing. I picked Brandt Snedeker last week. Eat it. all about British . . .
. . . and sophisticated. * Allow me to take this opportunity to thank Making a Murderer for re-affirming my decision to abandon the pursuit of being a real lawyer. My amateur status allows me the luxury of mocking the rampant scumbaggery in the legal profession despite the fact that I am technically part of it. It's just another way I skate through life without actually committing to anything (see the next footnote). ** That joke doesn't really make any sense but I periodically like to throw a bone to my many right wing friends so that when I visit their homes and they are drunk, they are less inclined to shoot me.